In 2004 the State of Illinois dedicated the World War II Illinois Veterans Memorial in Oak Ridge Cemetery in Springfield, Illinois. I was privileged to be there for this dedication and it was an event that I will never forget. I recently returned to visit this memorial for the first time since the dedication. It was still very impressive and is a fitting tribute to the men and women of Illinois who served so gallantly in the defense of freedom and our country. One addition since the dedication was a small marble bench as you entered one end of the memorial. 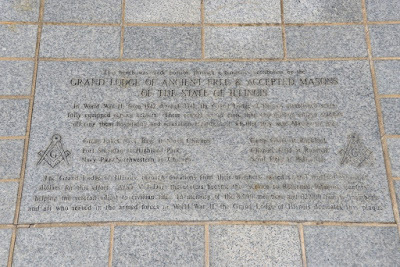 As I examined the bench I was surprised to find a plaque placed by the Grand Lodge of Ancient Free & Accepted Masons of the State of Illinois commemorating the efforts our grand lodge undertook in sponsoring seven service centers in Illinois to assist in the war effort. 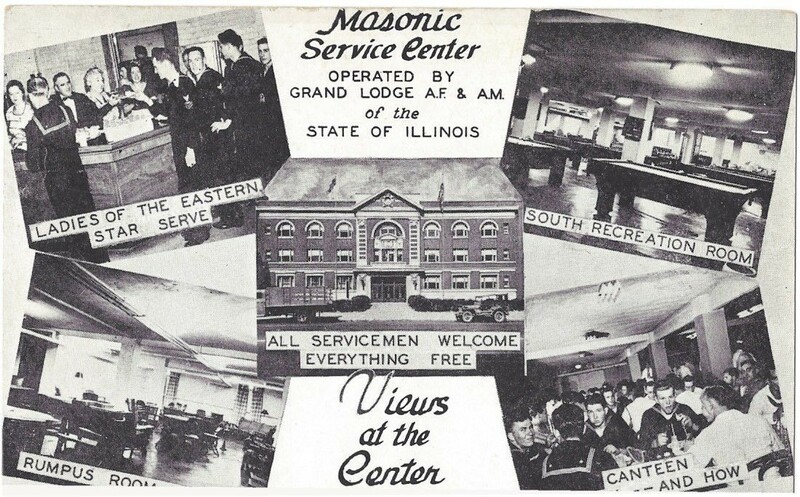 After the war these centers helped veterans adjust to civilian life. 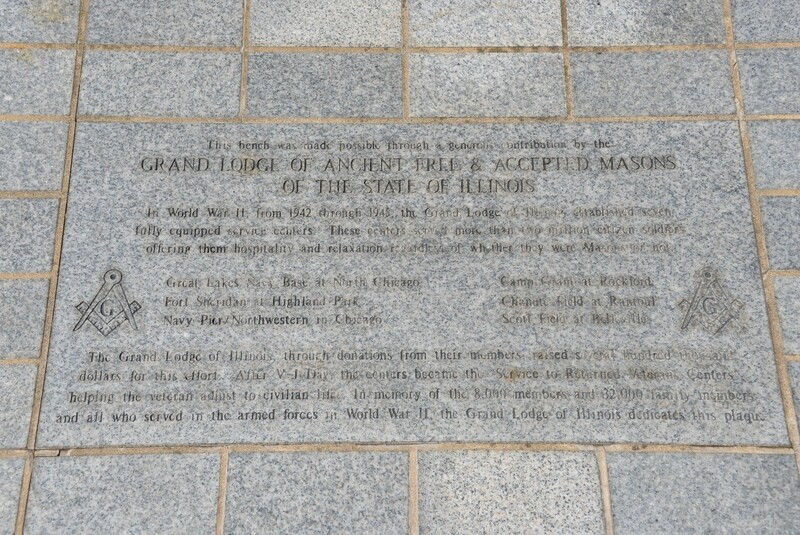 The plaque stated over 8,000 Illinois Masons served in the war. 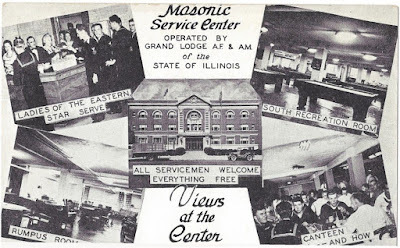 The Masonic Service Association played a significant national role in coordinating these centers. After the war, the MSA continued the work of helping Veterans through the Hospital Visitation Program in affiliation with the US Department of Veterans Affairs. 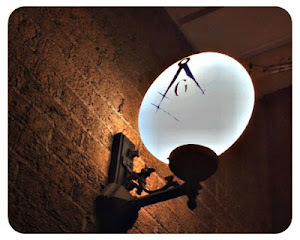 This program is still active and going very strong. My local lodges participate in the Illiana VA Center in Danville, Illinois.